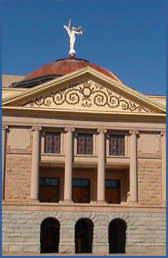 Arizona Council of Human Service Providers – Why Should You Join the Council? Why Should You Join the Council? Home Why Should You Join the Council? Together we can do so much more than any of us can achieve as individuals. Change will not come if we wait for some other person or some other time. Never believe that a few caring people can’t change the world. For, indeed, that’s all who ever had. until it is secured for all of us and incorporated into our common life. It isn’t enough to talk about peace. And it isn’t enough to believe in it. the aspirations and needs of others, for their sakes and for our own.